When I download as a ZIP, it doesn't preserve the modification times, they are all the present time. Certainly, I can see the modifiction times when the browser is viewing the filesystems. So why not for the files transferred? This is fundamental and basic to file copy-backup, some files like videos (and some jpegs) have no EXIF. I find this very frustrating that the people writing system tools have no common sense on basic requirements for "copy" functionality. Sounds like the developers never had any experience as system administrators for any business/office environment, which would cause them to realize that metadata is important, too. So how do I make this work? Or do I need to use another tool for accessing my phone? I find it also unfortunate that you disregard file last modification time (you called it creation time, which is not) during creation of zip file (download multiple files). It's ultra easy and in fact code for keeping or ignoring modtime is almost the same (depending on what way of streaming file you use). So pity that you ignore it. And not, this is not some 'backup feature', but simple one more line of code to *properly* store file modtime in ziparchive. It does also not work for copying one file. 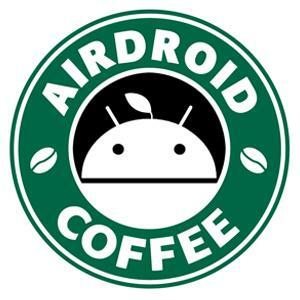 BTW: that make me not buying airdroid premium, and migrating towards using "Droid NAS" app. Free btw. Thanks for the info and suggestion We'll take a look at this.